Our intensive one day Presentation Skills training course in Melbourne will equip your key staff with the skills and techniques necessary to deliver their message with confidence and poise. They will also learn to manage any public speaking nerves. Participants receive expert guidance and direction in how to prepare and structure their message, as well as how to present it with clarity and influence. Our presentation course is usually limited to eight participants, and uses video feedback to accelerate coaching for skill development. The training is delivered in-company for organisations. Course content can be tailored around the public speaking experience of your group, but usually explores themes such as …..
As a Melbourne based training consultant, Brian Carroll brings more than twenty years experience delivering over one hundred business presentations every year, to a wide variety of different audience groups. 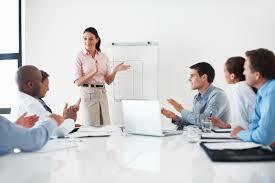 For presentation tips and some good practical advice, have a look at our page Presentation Tips.